The Kranked EGO 2400 is an electric bike kit that delivers power and speed more akin to an electric motorcycle than the low speed ebikes I usually test… It’s intended for off-road or private use and is capable of climbing 40 degree inclines, delivering 2400 watts at peak output (more than 5x traditional low speed ebike systems). With top speeds in excess of 40 miles per hour (65 kilometers per hour) I highly recommend riding with a full face helmet and downhill arm, leg and joint protective gear. For roughly $4k you get the EGO-made 2400 motor, controller and twist throttle along with the Kranked custom gearing system and mounting brackets as well as an impressive ~54 Wh Lithium-Manganese battery. 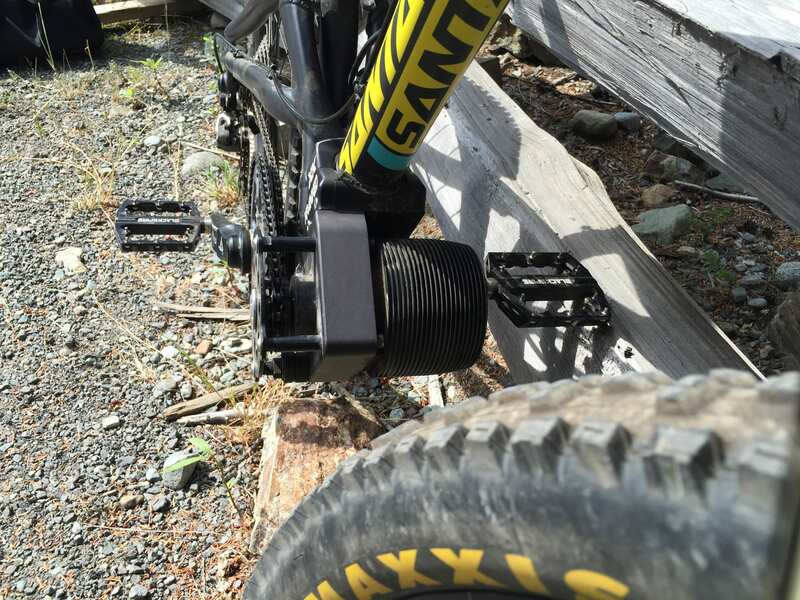 I’m told this kit is compatible with roughly seventy percent of the standard mountain bike frames on the market today but the folks at Kranked love Santa Cruz and have optimized compatibility with the $2,500 Heckler model shown in the photos and video above. 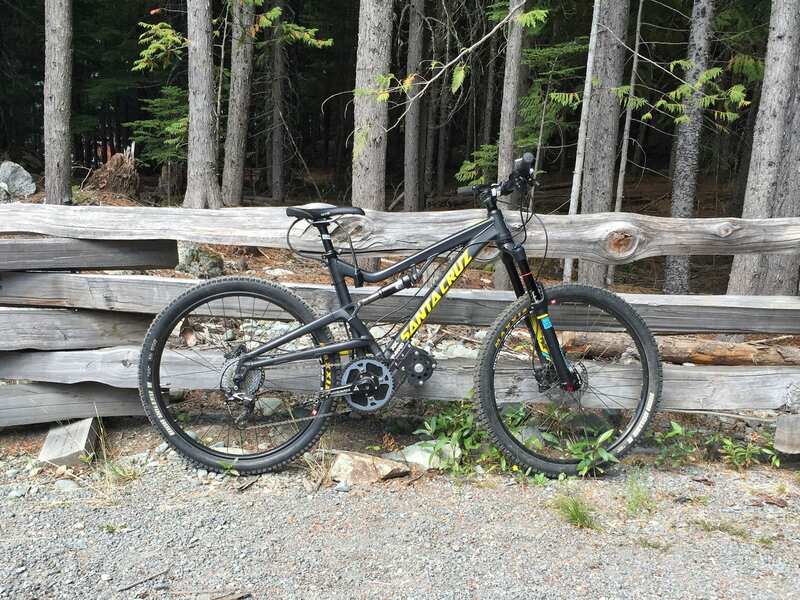 This full suspension model is sturdy, light weight and affordable with a popular all-mountain geometry. 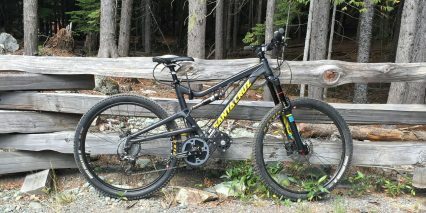 I had a blast riding uphill with this thing and appreciate the balance offered by the middrive motor. The 11 lb battery and required backpack worked alright but the straps made me sweaty and my movement was a bit restricted by the weight. The loud buzzing sound made by the motor wasn’t my favorite and definitely drew attention from fellow cyclists making me feel a little self conscious. 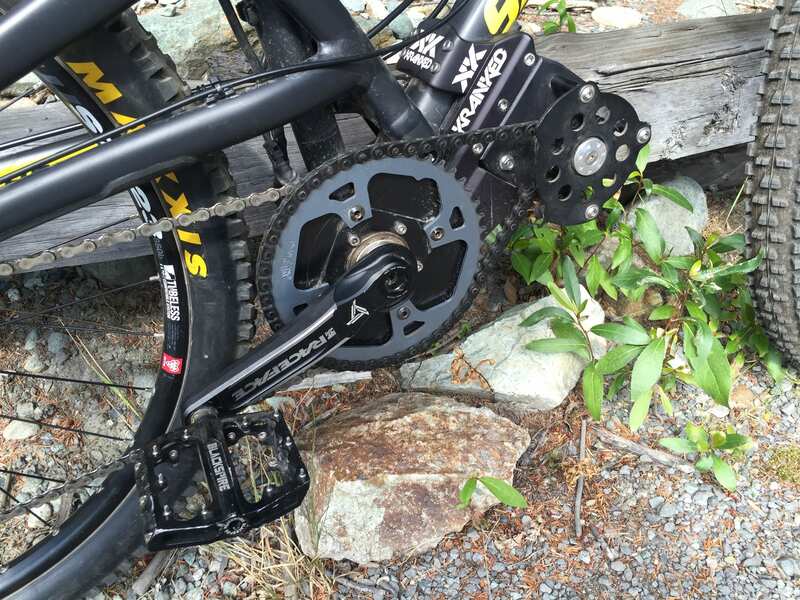 While my time was limited, I’m sure the strain of so much power on the chain, derailleur and sprockets will shorten their expected lifespan. 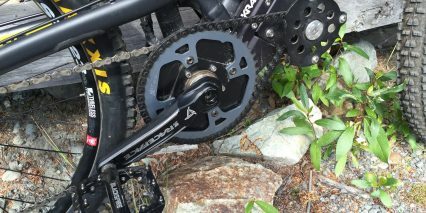 My uncle has been riding a 350 watt Haibike for the past year and had to replace his chain something like six times with two new derailleurs and that has shift sensing tech built in. 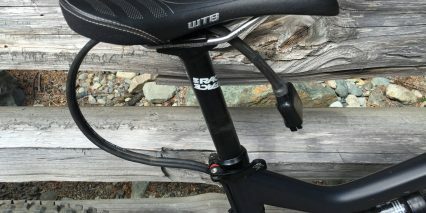 The Kranked EGO kits are throttle only so you might not have mashing if you completely ease off the power when shifting. 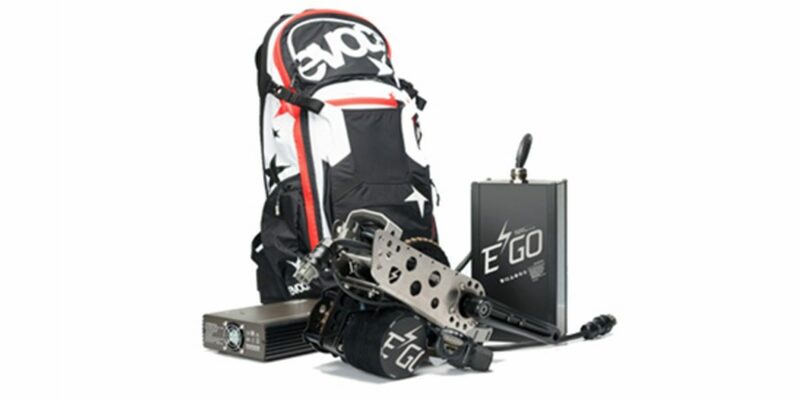 The motor powering this kit is made by EGO and sold separately (with its own proprietary mounting hardware) for slightly less than the Kranked system. Kranked has tweaked and refined the mounting hardware for their version, sells it in different regions of the world (Canada in particular) and offers a two year comprehensive warranty with local support. As mentioned earlier, the motor produces some noise as RPM is stepped down with a planetary gearing system. 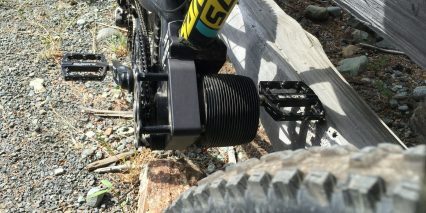 this allows the the gearless canister drive to spin at a more optimal RPM and deliver more power for climbing without overheating. There’s a nice heat sink built onto the end of the drive but no easy way to tell how the system is performing… no LCD display here with speed, range or detailed battery level. You get a very traditional three LED readout near the throttle with red, yellow and green readouts. It may be tougher, simpler to install and more affordable but it also leaves something to be desired. I’d love to see how many watts were being put out and also how hot the system is running realtime so I could adjust my riding on the fly. 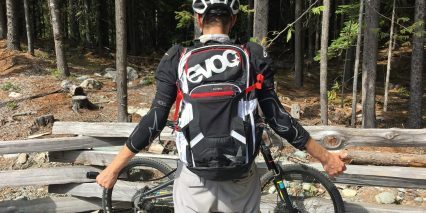 Powering the system is an awesome Lithium-Manganese battery brick that plunks down into the EVOC Rucksack backpack and connects via umbilical-power cord to the controller. It’s a unique design to be sure and there are definite trade-offs in balance. 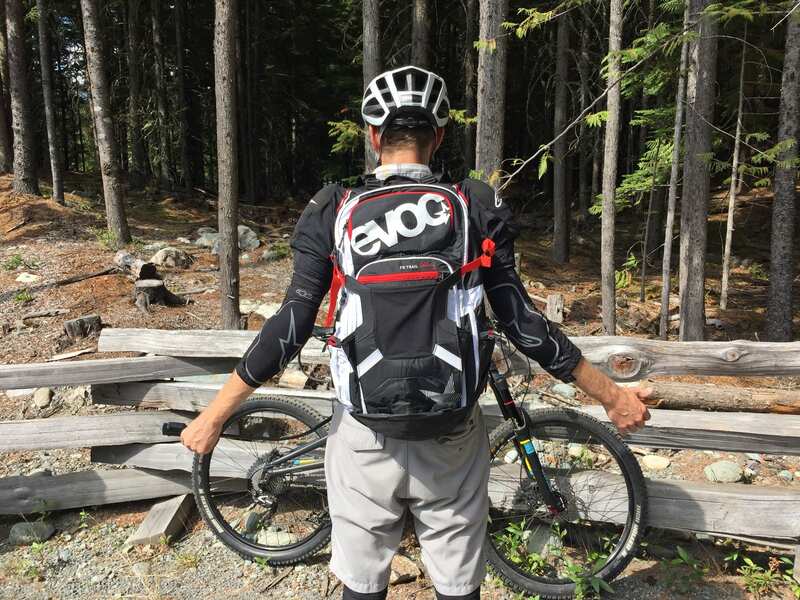 The bike is very balanced with the mid-drive motor and solid feeling, the backpack is padded and comfortable to wear… even giving you more space to bring food, water and tools… but you feel the weight and it impacts your stance and arm engagement. I love that the power cable is so strong and that it’s designed to break away in the event of a fall. I think the battery is well protected by the backpack and your body shouldn’t get too beat up by the 11 lb weight because of integrated padding but it’s very different from most bikes that have batteries built right into the frame or attached with a rack. 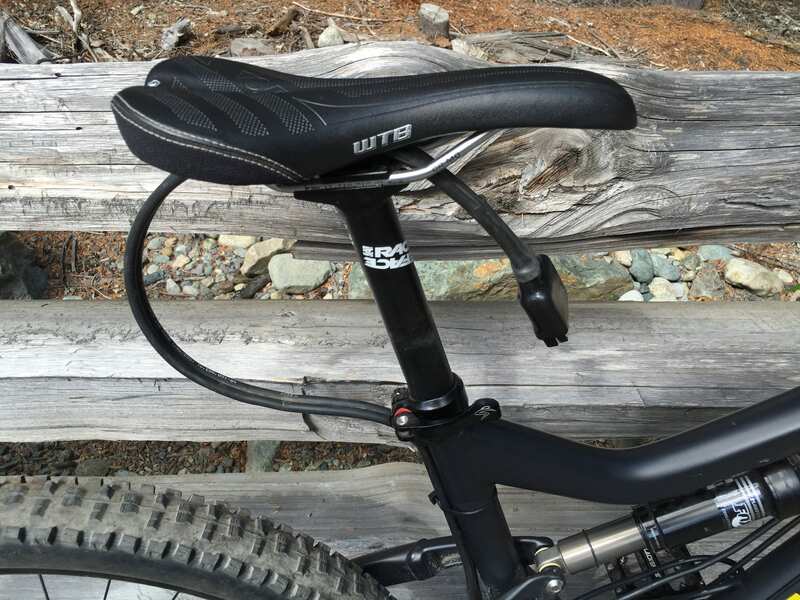 If you’re coming from the motorcycle world everything here is going to feel super light weight but if you’re into downhill mountain biking it might feel heavy and restrictive. The benefit is that you get to ride up and down the mountains you want to bomb now vs. taking a chairlift or helicopter. 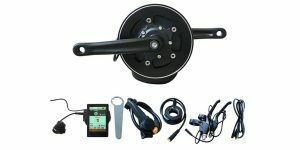 Operating the Kranked EGO 2400 system is very easy once the kit is installed. You charge the battery, which only takes ~1.5 hours using their quick charger, then put on the backpack and plug it into the loose wire coming out of the controller (usually kept in place with zip ties). Next, you press the power button and twist the throttle. It’s very intuitive and extremely responsive. Before my ride, the founder Bjorn cautioned me to be delicate with the throttle at first and get used to the power. You could easily wheelie the bike, spin the tire out and go careening out of control if you don’t respect it. Unlike many dirt bikes that use internal combustion motors, electric systems don’t require that you shift gears to go fast and that makes them easy to use but also easy to get carried away with. That’s really it, the bike is on and you go. 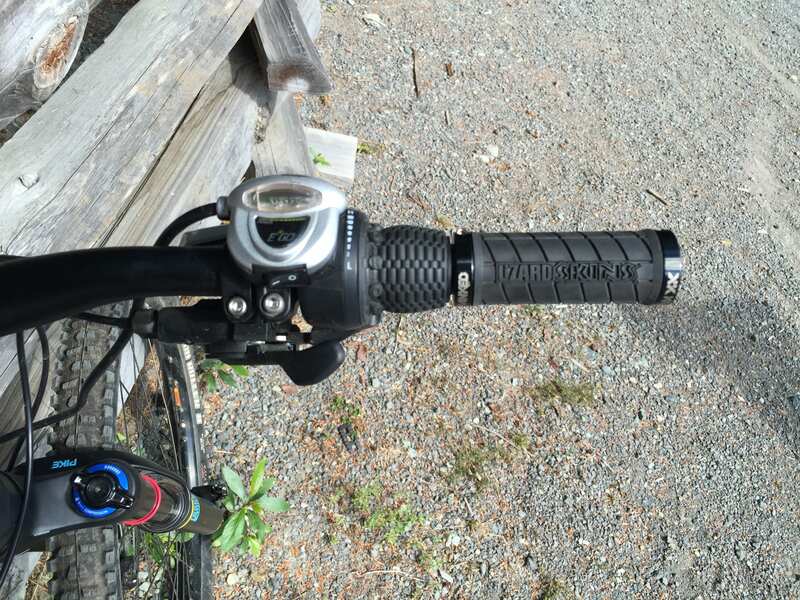 To optimize for climbing or going fast you can shift the bicycle gears like you normally would on an unpowered bike but as mentioned earlier, I’d suggest easing off the throttle when you do this to avoid mashing. 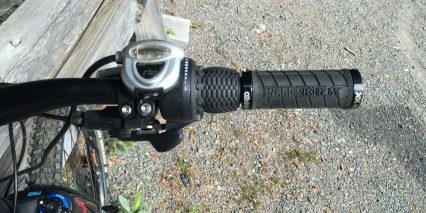 The first few rides should be done on smooth surfaces to get used to the throttle, when the terrain gets bumpy or your body begins to move a lot it’s easy to bear down on the grips for stability but this can also feed into the throttle. If was more into downhill riding I think I’d be obsessed with kits like this… I’d also love to take it off of huge motocross jumps or go freeriding. 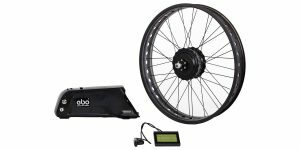 This electric bike setup achieves the power and speed of a motorcycle and the maneuverability and light weight of a bicycle. 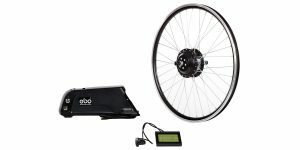 Unfortunately, because the motor is so integrated with the bike it’s very sturdy but also not easily removable (nor is the controller and throttle) so prepare to have a dedicated e-mountain bike. It’s a lot of money to spend and the motor noise can be annoying but the rush cannot be denied. The potential for overheating and limited system feedback are areas for improvement and I’m excited to see batteries become even lighter. 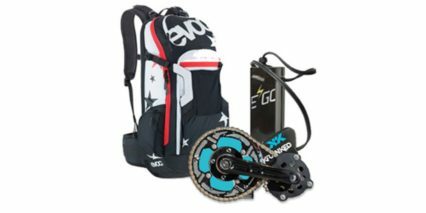 I don’t think the battery backpack thing is bad but it does impact your ride a bit and I’d go into this purchase with added budget for some serious pads. Also, as always… be considerate of how you ride and where you take electric bikes like this. You could seriously injure or even kill another rider or pedestrian and while that’s true of human powered bicycles to some extent (especially b-lining down large hills and mountains) the risk is everpresent with a 40+ mph ebike setup like this.